*10% off all gift card orders of $500 or more! All physical gift card orders placed before 3pm CST will ship the following business day from Austin, TX. Please allow up to 5-7 business days after ship date for delivery on all orders shipping through the First Class USPS mail. 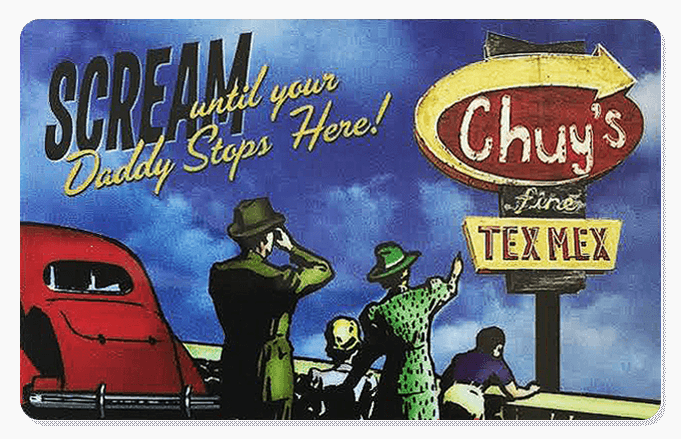 For questions about your plastic gift card order call 512-473-2783 Mon-Fri 9am-5pm CST or e-mail shop@chuys.com.